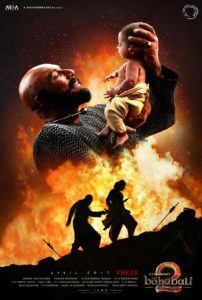 It is touted to be the most expensive movie made in India, an epic film more than 2 years in the making, the expectations are high, and above all, it’s a Rajamouli film. The result? A half-baked biscuit! Rajamouli is definitely one of the best directors in the Telugu industry. He is a visionary, Eega was an example of that. With Baahubali, he tries to go one notch higher. He does it successfully as well in terms if grandeur, but unfortunately not on storytelling or direction. 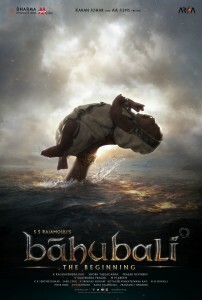 Baahubali – The Beginning showcases the story of a young lad who discovers his lineage as we progress through the film. It starts off like most others, where the macho protagonist character is established, we then have a show-off of muscles and strength, there is a damsel whom he falls head over heels for, the damsel is in distress, he comes to her rescue, and finally there is an intertwined flashback which ends with an action packed war sequence. Rajamouli ensures that there is everything the audience wants, from muscles and the navel, to the beautifully crafted and picturized war sequence. But unfortunately, while there is creativity and novelty in probably every other sense, there is none in the storyline or storytelling. The screenplay is absolutely mediocre. Yes, I understand that it’s a two-part film, but even then, the movie is extremely patchy with no flow. The direction too isn’t really up to the mark for the characters seemed to lack emotions and are too loud at times (it actually felt like watching a TV serial on a couple of occasions). One expects better from Rajamouli. Prabhas has put in a lot of effort and tried really hard to do justice to both the characters he plays. While he is pretty good as Baahubali, he looks miserable as Sivudu. His dialogue delivery is also not up to the mark. Rana looks menacing as the antagonist, and comes up with a good performance. Anushka does well in her brief presence, but her make-up could have been better. Tamannaah looks beautiful on-screen, and I wish the same could have been said about her acting. Ramya Krishna is great, but I think the subtlety was amiss. Sathyaraj has a meaty role and he does well. Rest of the cast is alright. Music by Keeravani is average, with almost all songs forcefully inserted into the movie. Background score and sound mixing however are exceptionally good. While cinematography by Senthil Kumar is spectacular, the colour grading is terrible, and the visuals aren’t consistent on-screen. The graphics too are erratic. Production design and sets are very good. 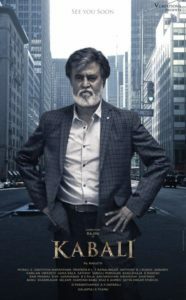 Editing by K V Rao could have been better; though a little over 150 minutes, the film seemed tediously long. Bottom line, I have to agree that Baahubali is an example that we are making substantial progress in our film making processes and techniques. But what it doesn’t do is showcase our storytelling ability; while we’ve aimed to go global, our mindset still wants to cater to the mass audience. How will the mass audience scale up and appreciate good cinema if we don’t let them? It’s disheartening to see a director who took this path falling back and taking the easy road. Is it worth your time and money? : Yes, it is worth a watch, not for the storyline or the storytelling but for the grandeur. It is a bold attempt in Telugu cinema; I only wish it had more to offer in terms of story and direction rather than being old wine in a new shiny bottle. If only the efforts were channelled in the right direction, Baahubali would have truly been epic. Worth mention: The visuals and production values. Mani Ratnam is one of the best directors of our time. But for the last 11 years, none of his movies, starting from Yuva, have made an impression. 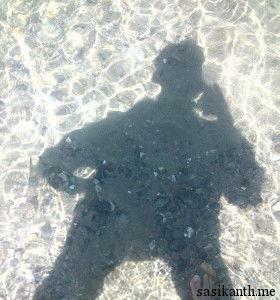 With Kadali, I thought he lost his touch. Thankfully not! 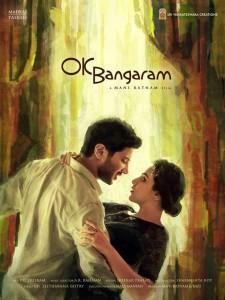 Ok Bangaram is a simple love story – no drama, just pure romance. The script is nothing special; boy meets girl, they fall in love, neither wants to get married, live in together, and voila! One can predict the ending just by watching the trailer of the movie, but it’s Mani Ratnam’s pure genius that keeps you engrossed for the two odd hours. The chemistry between the lead pair is magical. The way he showcased the elderly couple’s storyline is subtle yet brilliant. The screenplay never overwhelms you; it’s just a love story narrated in a beautiful way. Dulquer Salmaan is excellent in the lead role. He has a guy next door charm, and puts up a great performance. The best part is that he never tried too hard, it seemed like he was just being himself. Nani’s voice suited him perfectly. Nitya Menen is absolutely gorgeous. I can’t imagine anyone else who could have put up a better act than her. Her expressions, smile, overall performance – splendid! Prakash Raj is perfect as the house owner, and Leela Samson is great as his wife. The rest of the cast is decent. Mani Ratnam definitely brings out the best in A. R. Rahman. Music is soulful and excellent, and all songs are brilliantly picturized. The background score and mixing are equally good. Editing by Sreekar Prasad is neat, while cinematography by P. C. Sreeram is superb. On production front, the movie is flawless (Dil Raju and team). Is it worth your time and money? : Absolutely. I thoroughly enjoyed the movie and have a gut feel that you will too, but only if you don’t compare it to anything else. Mani Ratnam is back to showcase a beautiful yet simple love story. Just go enjoy! Worth mention: The chemistry between Dulquer and Nitya. Yevade Subramanyam is a movie I can connect with; it was about three years ago that I took a similar trip to the Himalayas, the trip of my life thus far. But thank god for I am no where like Subramanyam. Directed by debutant Nag Ashwin, the movie is about an overachiveving, materialistic guy, Subramanyam, who cares only about his future. On the other hand, his friend, Rishi, is a guy full of life, one who wants to explore the world, but most importantly travel to Himalayas with Subbu. They soon meet a lively girl, Anandi, who does whatever she feels like (one very similar to Rishi), and Subbu needs her consent to reach his life’s ambition. The rest of the story is all about how destiny leads Subbu to Himalayas, and in the process, teaches him life’s biggest lesson. All of this is showcased in a neat manner and while direction is good, there’s big scope for improvement. On the downside, the screenplay happens to be mediocre (for no fault of its own). Nani does a good job as the materialistic guy. But the movie belongs to Vijay Deverakonda and Malavika Nair. They are both brilliant and full of energy. Their performance is what makes Yevade Subrahmanyam click. Krishnam Raju and Nassar are alright, while Ritu Verma is plain average. Rajesh Vivek has a meaty role and does well. On technical front, music and cinematography apart, this happens to be one of the most mediocre films I’ve watched till date. Background score and sound mixing are terrible; there are multiple shots with two different tunes playing without sync. Add to that the most pathetic editing ever by Kotagiri Venkateshwara Rao; scenes end abruptly on numerous occasions without making any sense. Even an amateur short film maker can edit better. Maybe the film was shortened for length issues, understandable, but there’s definitely a better way of doing it. Is it worth your time and money?? : For the story part of it, and the acting, yes. But the appalling editing is a big negative. Nevertheless, it’s worth a watch for the message. Worth mention: Performances by Vijay Deverakonda and Malavika Nair. After a disastrous Rabhasa, NTR needed something special for his career to stay alive. And thankfully for him, Temper keeps the ship sailing for a little longer. Vakkantham Vamsi, who has scripted some duds for NTR in the past (Ashok and Oosaravelli) tries to convey a message through Temper. Puri narrates this story of a corrupt police office in his trademark style, and one can’t miss the similarities to Pokiri and Businessman. The entire first half is stylish, and though not believable, is watchable. The second half forms the crux where the transformation happens. This half happens to be more engaging than the first half, however, the screenplay seemed shabby and rushed through (I hear climax was cut short by 30%, that might be the reason). A little more care on characterization front would have worked wonders. NTR has put in his heart and soul into the movie and it shows on-screen. His performance in the second half is very good. His dance moves also deserve a special mention. Kajal looks glamorous in her glam-doll role. Prakash Raj is at his best. The surprise package turns out to be Posani, who performs well in a meaty role. Music by Anoop Rubens is alright. It’s nice to see him finally move away from Manam tunes. Background score by Mani Sharma is pretty good. Cinematography by Shyam K Naidu is spotless. Editing by S R Sekhar is good for the movie never seemed boring, but it also seemed like there were too many cuts made, which kinda ruined the screenplay. Is it worth your time and money?? : I think it is. Plus points are NTR, direction in parts, and length. On the downside, the screenplay in the latter half could have been better. Give it a watch. Worth mention: NTR’s dance moves. The trailer didn’t look that great, and the initial reviews weren’t positive either. Nevertheless, here I was to watch and appreciate Vikram’s efforts. Shankar’s I, starts off really well; the story of the body builder wanting to make it large (pun intended) is perfectly picturized. Him lionising a model is also understandable. But the problem starts when the renowned director adds too much commotion to this simple story. After a point, it just seemed like he just wanted to showcase fights, stunts, make up effects and so on, rather than make a good movie. There are a number of episodes which were absolutely irrelevant and unnecessary – love story with the stylist, the Lion-man song and the terribly long fight sequences. These episodes don’t just make the movie incredibly long but test your patience levels. Add to that a mediocre screenplay, and what started off well ends terribly. Why Shankar, why? Vikram put in his heart and soul into the character and it is sad to see his brilliant performance go waste. Hats off to him for moulding his body as per the characters requirements. Amy Jackson looks fabulously gorgeous. She complimented Vikram in almost every shot and stumped me with her performance. Santhanam is alright. Upen Patel and Suresh Gopi put up decent performances. Thanks to an Oscar, A R Rahman seemed to have lost it. It’s sad to see him compose such disastrous tunes. But for a couple of songs, the rest go straight into the bin. Even the background score is below par. Editing by Anthony couldn’t get any worse. Cinematography by P C Sreeram is the only saving grace on the technical front. Barring the action sequences, almost every other frame is perfect. Make up effects by Weta Worshop are alright. Is it worth your time and money?? 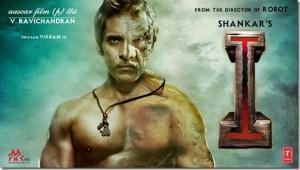 : If it weren’t for Vikram, it’s a big no. His performance, Amy, and cinematography are the saviours in this long film. Shankar’s over-ambitious effort to showcase ‘more’ has ruined an otherwise good film. Anthaku minchi, anthaku minchi antu manchi cinemani chethulara paduchesukovadam ante idhe! Worth mention: Apart from Vikram, Amy Jackson’s performance is noteworthy. While PK has created enough controversy about religion and religious beliefs, here comes the Telugu remake of OMG – Oh My God! One might have expected it to be under the scanner as well, but thanks to Pawan and Venki, Gopala Gopala entertains without any hassles. OMG was a simple film with decent star-cast. The moment it’s being remade with PK and Venki, expectations go up ten-fold. Director Kishore Kumar Pardasany (Dolly) stuck to the script without being carried away by the heroes, and therefore excels on scripting front. The screenplay is more or less intact barring a few scenes modified to suit the Telugu nativity, and increased screen presence for PK. However, this doesn’t hamper the flow of the movie. Bottom line, both screenplay and the direction are pretty neat. While Pawan Kalyan does a good job in a subdued role as Krishna, the movie totally belongs to Venkatesh. Though he seemed a loud compared to Paresh Rawal, he brings a lot of substance to the role. Pawan, as expected, entertains. Shriya is alright as Venki’s wife. Posani has a meaty role, and he excels. Mithunda is alright, and so is the rest of the cast. Music by Anoop Rubens is good. However, he needs to come up with new tunes. Background score is decent. Cinematography by Jayanan Vincent is neat. On the downside, editing by Goutham Raju is pathetic. There are multiple instances where scenes end abruptly and you can notice the patchy work. You’d expect a reputed house like Suresh Productions to pay more attention to editing. Is it worth your time and money?? 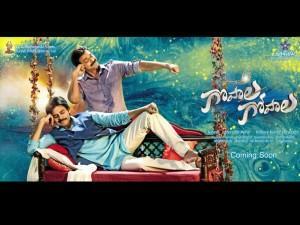 : Gopala Gopala is a treat for the fans. For the rest of us, it’s a decent watch with a good message. The best part of the Gopala Gopala is the fact that it doesn’t overwhelm you because of its star-cast. While it might not be a great film, it’s definitely worth a watch for its heart is at the right place. Worth mention: Acting by Venkatesh and Pawan. Post his directorial debut (Tholi Prema), Karunakaran has been making some disastrous movies. While Chinnadana Neekosam isn’t a disaster, it is no better than average. Similar to most films this year, Chinnadana Neekosam deals with family sentiments. Boy falls in love with a girl, but is ready to let go of it for her family’s sake. While Karunakaran showcases the first half in an entertaining way, the second half goes totally haywire. Be it the premise or the storytelling, this half is a total disaster with some terrible screenplay and direction. The entire gay episode was absolutely unnecessary and the climax was clichéd. Sad that a promising start couldn’t be cashed upon. Nithiin tries his best to carry the movie on his shoulders but succeeds only to an extent. Come a point, his act seemed repetitive and boring. He needs to get out of the box and try something different. Mishty Chakraborty has a meaty role, but didn’t fit the bill. She looked odd in most angles and her acting skills aren’t worth mention either. Nassar is alright while Ali is terrible. The rest of the cast didn’t really make an impact. Music by Anoop Rubens is alright. Editing by Praveen Pudi is below par. There are so many scenes which could have made the cut (Thagubothu Ramesh scenes, gay episode) but were inserted just for the heck of it. Cinematography by Andrew is decent. Dialogues by Harsha Vardhan were good in parts. Is it worth your time and money?? : Not really. While the first half is decent, the latter half is terrible, and if I might add, disgraceful. Unless you have nothing better to do, you can easily give this one a skip (or better, walk out from the theatre after the first half). Worth mention: Some dialogues in the first half. PS: @Nithiin: Gay men are men, just like you and me. I thought you knew better than that.